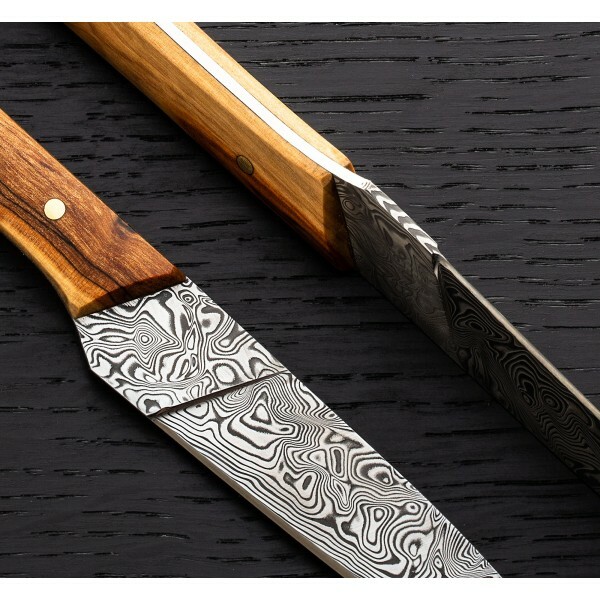 In Gysinge™ pattern Damasteel, a stainless damascus created in small batches just a few hundred kilometers south from where bladesmith Tobbe Lundström makes tabletop and kitchen knives by hand, comes this exquisite steak knife set. 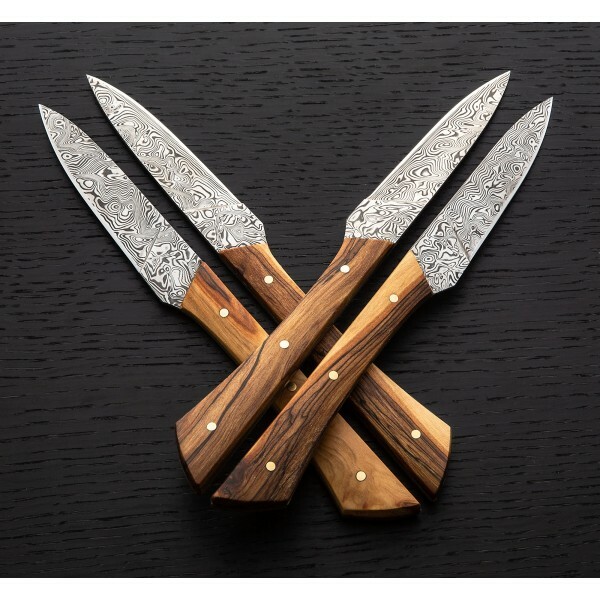 Head-turning from tip to handle, each knife is built one at a time by Tobbe in Åre, Sweden and weights approximately 2oz, measuring 228mm / 9" overall with just under 100mm / 4" of razor-sharp edge. 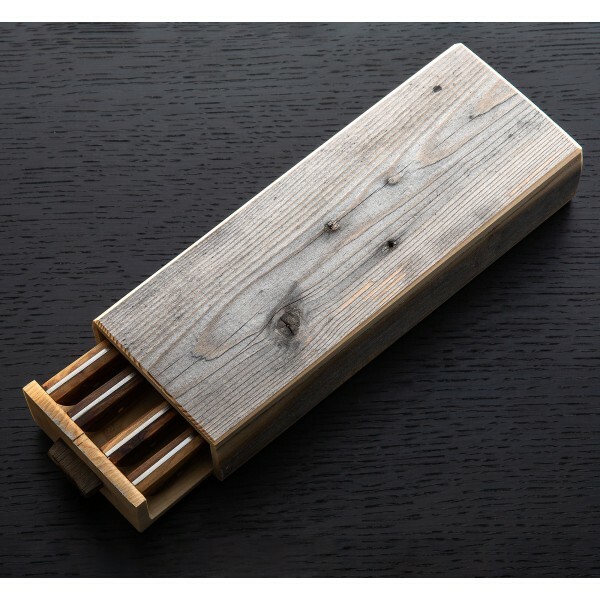 The storage box is custom made from reclaimed barn siding sourced from the area around Tobbe's workshop. 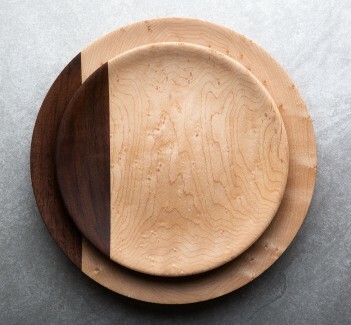 Designed and built at his shop in Åre, Sweden, Tobbe Lundström's specialty lies in uniquely beautiful designs and outstanding construction of culinary tools that are as visually stunning as they are functional. 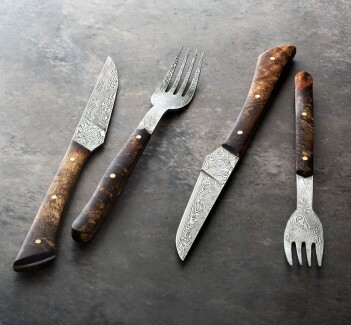 From handmade chef knives to fork and knife cutlery sets to these incredible Damasteel steak knives, materials are selected for maximum visual impact and the tools are built for daily use. Overall length: 228mm / 9". 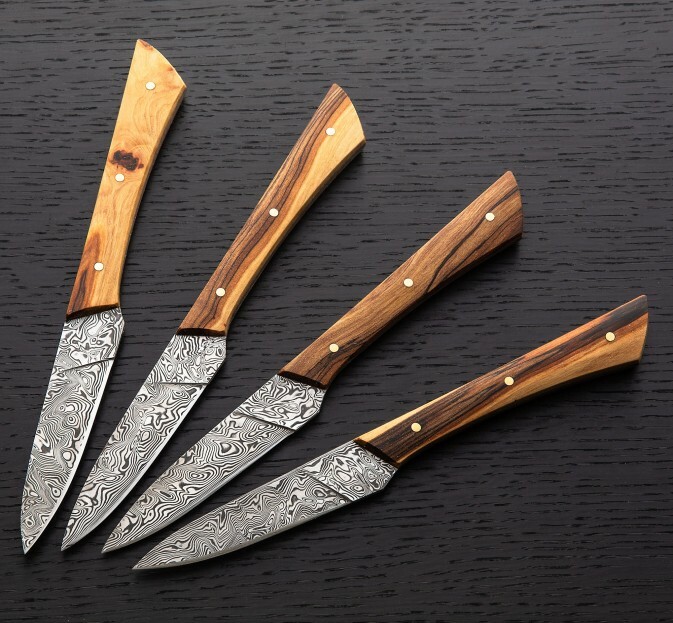 Blade length: 3.875" (98mm). 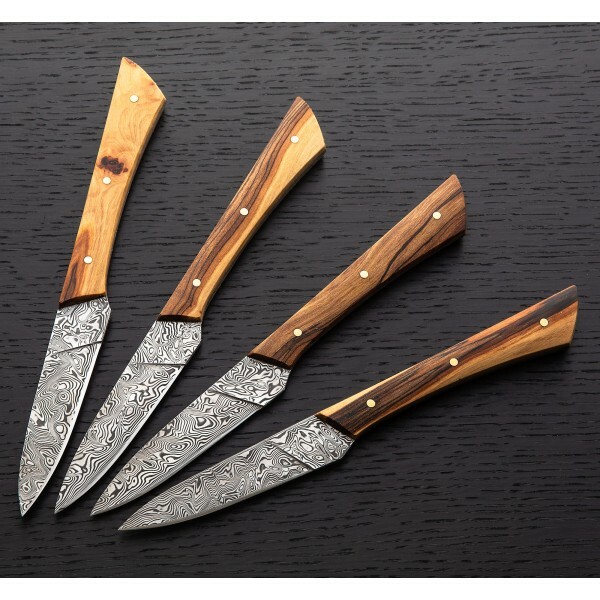 Blades: Stainless Gysinge™ pattern Damasteel damascus. 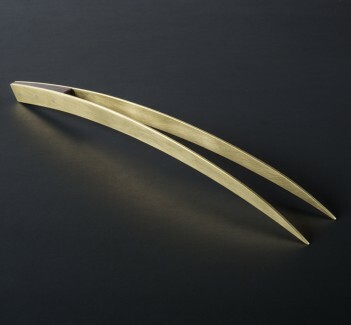 Handles: Apple wood with brass pins. Box: Reclaimed barn siding.